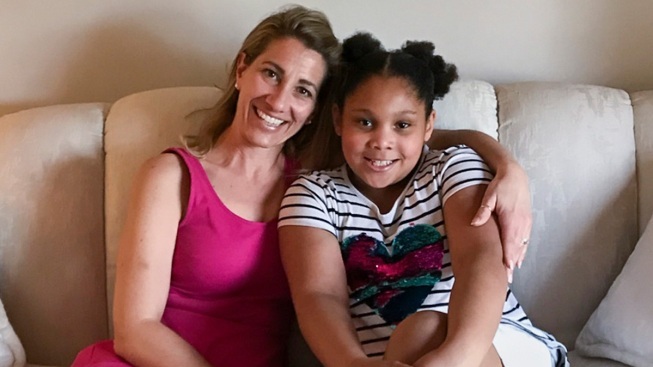 In this May 2, 2018, photo provided by Alana Brown, Slate Ridge fourth-grade teacher Tanya Thomas, left, and Alana's daughter Eva Evans, a Slate Ridge student, pose for a photo in Reynoldsburg, Ohio. Thomas is donating a kidney to save the life of Eva Evans. Eva Evans is 10 years old and desperately needs a new kidney to live a normal life. Mrs. Thomas, a smiling fourth-grade teacher at Eva's school, wants to give her one. They barely knew each other before. Eva was in a different fourth-grade room down the hall. Tanya Thomas, 48, had spent half her life in the classroom, most of the time right there at Slate Ridge Elementary in the Columbus suburb of Reynoldsburg. After the usually vivacious Eva started missing school last fall, word got around that she'd been sick for months and probably would need a kidney transplant. A plea for a donor went out on Facebook after no one in her family was viable. Thomas jumped in without hesitation, and an arduous, months-long screening process determined she was a perfect match. The surgery will happen sometime late summer at Nationwide Children's Hospital in Columbus. 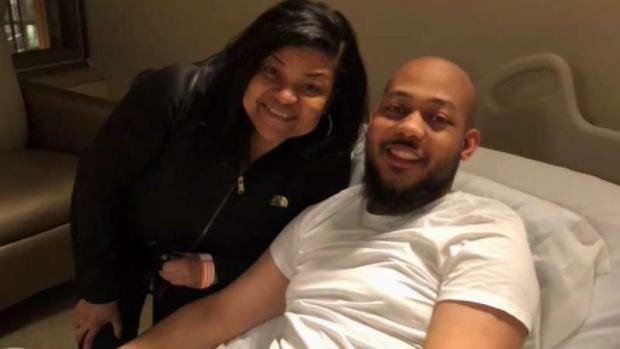 When she learned of her 22-year-old son's rare, life-threatening kidney condition, a Prince George's County woman jumped at the chance to be his donor, possibly extending his life by decades. Pat Lawson Muse reports. Giving a part of herself to a random kid at her school turned out to be one of the easiest choices Thomas has ever made. At her church she'd just seen donors step forward to help two people in need of kidney transplants, and she wondered if that was a path also meant for her. "I never really even doubted," said Thomas, who is married to a teacher and has two children in college and one in high school. "I just felt like that door had been opened, and I was supposed to walk through it." After Thomas was approved as a donor, Eva's mom, Alana Brown, and Thomas staged a "reveal" in April at which donor and recipient exchanged hugs, cards and flowers. Later, Thomas was invited over for a tea party. And before long, they will be linked for the rest of their lives. Eva has had an extraordinarily difficult year. She went from being a normal kid early in 2017 to feeling sick and having dialysis 10 hours a day to stay alive. 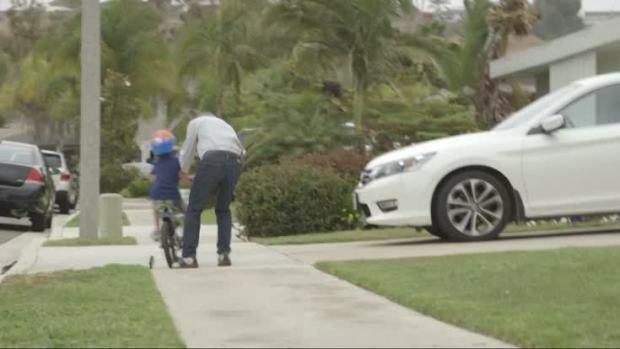 Her 38-year-old single mom, a digital and social-media specialist, hasn't been able to work because Eva requires constant care. They live with Brown's mother, and any extra money is long gone. Will Kidney 'Coupons' Revolutionize Transplants? A new coupon system encourages kidney donations by linking chains of donors and recipients. NBC's Erika Edwards reports. Brown said she didn't know a teacher at the school was the donor until Thomas was well into the screening process. She still can't believe that someone who wasn't even Eva's classroom teacher would be so selfless. "She is an angel on earth," Brown said. "I think it's the kind of thing you think about but that you don't actually end up doing," said Micca Conley, the principal at Slate Ridge. "We talk about how we're family here and how we're moms first before we're teachers. She took that to the next step, that's for sure." Eva plans to make a YouTube video chronicling her journey that can help comfort other children going through the process and encourage other people to donate. "I'm going to have teacher DNA in me," Eva told her mom. "I'm going to have to be a teacher someday, and a good one."